Double Olympian and Commonwealth medalist Liz Yelling may be an elite runner but she's definitely not elitist. Liz has helped runners of all abilities, from total 'I can't run' novices, through to PB hunters and aspiring champions achieve their own personal levels of excellence. Liz is a world class marathoner but also a highly respected female coach. She has helped first time 5k finishers and experienced marathoners achieve more than they'd previously thought possible. Her client list includes celebrities, Olympians and she coached double amputee Richard Whitehead to a World Record in the marathon (2hr42min) and a Paralympic Gold Medal in the Games of London 2012. Her approachable, friendly, non-judgemental style and her understanding of the needs of women runners make her the ideal coach for you. "My approach to coaching is to really understand the personal I'm supporting". I work closely with them to develop a plan that works for their personal situation and contexts and specifically meets their goals. Together we will develop a training routine that is appropriate, progressive and motivating. I enjoy speaking to the runners I coach regularly and sharing their journey"
Where else can you be advised, mentored and coached by one of the World's top runners?  Liz is an adidas ambassador, coach to the adidas 26rs club, author of the 'The Woman's Guide to Running (Hamlyn), and a regular contributor to running, health and lifestyle magazines. Liz regularly runs workshops, clinics and camps and makes presentations about coaching, training and competing. She commentated on the London 2012 Women's Olympic Games for the BBC. Martin is a regular writer and coach for in health, fitness and running media. 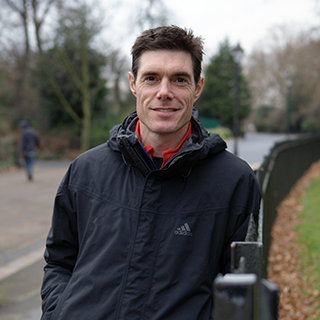 He is the current coaching advisor to Men's Running magazine and has written for many different titles including The Guardian, Evening Standard, Metro, Running Fitness, Triathlon Plus, Outdoor Fitness, Trail Magazine and London Marathon News. He can regularly be seen presenting and speaking at running and endurance events including on the main stage at the Virgin Money London Marathon expo. He has coached runners and triathletes at all levels from total novices who think they can't do it (but actually can), to experienced campaigners, full time professional athletes and celebrity runners including Eddie Izzard. He is most proud of helping people achieve more than they'd previously thought possible at every level. Martin is the founder of the UK's number 1 running podcast Marathon Talk, and the New Year digital running challenge Jantastic as well as co-founder of the Bournemouth Marathon Festival. Martin has a background in sport, physical activity promotion and health education. He holds a BSc (Sports Science), a Post Graduate Certificate in Education, (Physical Education) and a PhD. He has worked in the education departments at Loughborough University and DeMontfort University. Martin is a UKA level 3 endurance coach and REPS advanced instructor. Martin enjoys running on the trails and roads around his Dorset home and struggling to keep up with 2x Olympic marathon runner and wife, Liz. His competitive running background includes representing England at road and cross country running, a AAA's medal over 1500m, a top ten finish in the National cross country, some sub 30min 10k performances and a half marathon of 66mins. After snapping an achilles tendon in 1998 he switched to multisport and won the elite National duathlon championships twice, represented GB at world and European championships, recorded a sub 4hr half ironman and a 9.14 ironman and cracked the big one, the ironman world championships in Kona, Hawaii. Martin 'retired' in 2007 and but has since run under 3hrs for the marathon and still enjoys running most days whilst not chasing around the house looking after his 5 year daughter and 1 year old twin sons. Martin's sister is 2x European cross country champion Hayley Yelling. Hayley has a huge number of athletics achievements under her belt, most notably being twice European Cross country champion (2004 & 2009) – an achievement shared only with Paula Radcliffe. She has represented Great Britain in numerous World and European Championships in track (5k & 10k), road and cross country. 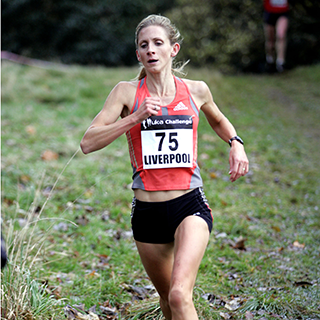 Hayley has been quoted as the most ‘successful British cross country athlete’ of all time to date, winning the National cross country championships and Inter-counties a number of times and has made a record 13 appearances at the European championships. Hayley understands what it takes to succeed in her sport, but has also had her fair share of disappointments – missing her third Olympic qualification by a painful 0.14 seconds for the 10K! – which keeps her modest and well grounded (and human!) Unlike any of her competitors, Hayley has achieved all her results whilst holding down a full-time job as a maths teacher, proving that you do not have to be a professional athlete to achieve great goals! As a qualified coach, Hayley is now making her secrets and tips available to others who are keen to reach their own goals. Not only will you benefit from her wealth of experience and teaching skills, you will also find her friendly, approachable, and very down to earth.